Do you ever struggle with comparison? Do you ever compare yourself with others and then let it impact how you feel about yourself? I don’t know if you ever do this, but I compared myself and my message to the speaker before me. I know better! I wrote in my book, “Hope Prevails: Insights From a Doctor’s Personal Journey Through Depression ” about how comparison is the thief of joy. 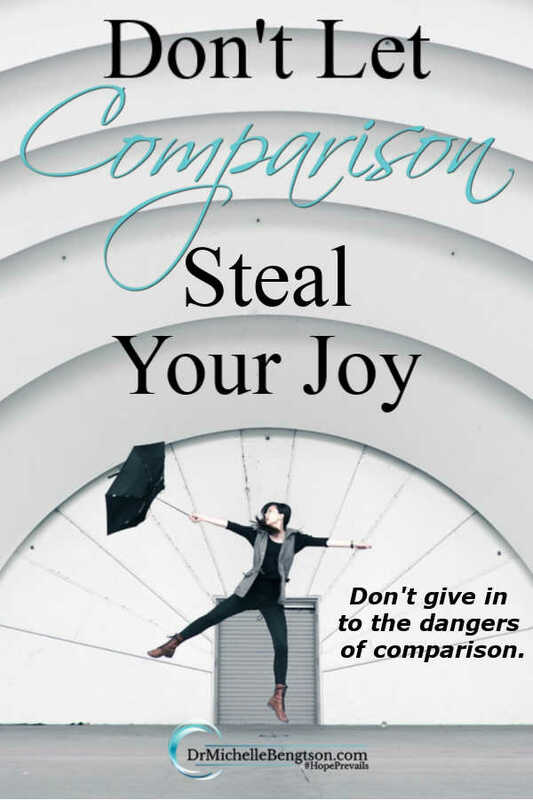 We have an enemy who seeks to steal our joy, and one of the easiest ways for him to do that is through comparison. 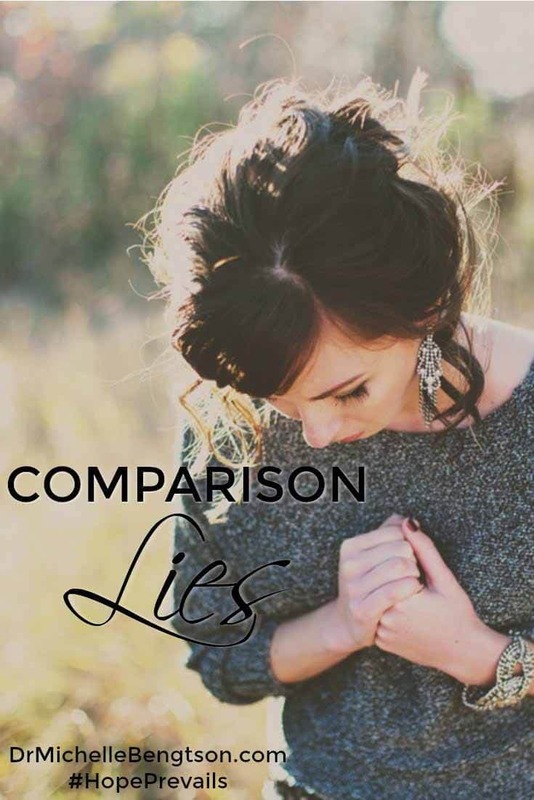 Comparison takes our focus off of God and puts our focus on other people or on ourselves. When we start comparing ourselves to other people, we stop paying attention to what God is doing in us, and through us, and for us, and we focus on what God is doing in, and through, and for other people. Then we start feeling less important, less adequate, less worthy. The key there is that we start feeling less than. Our feelings are strong and compelling, but our feelings often lie. In reality, our feelings are just the outward manifestation of the thoughts we believe. 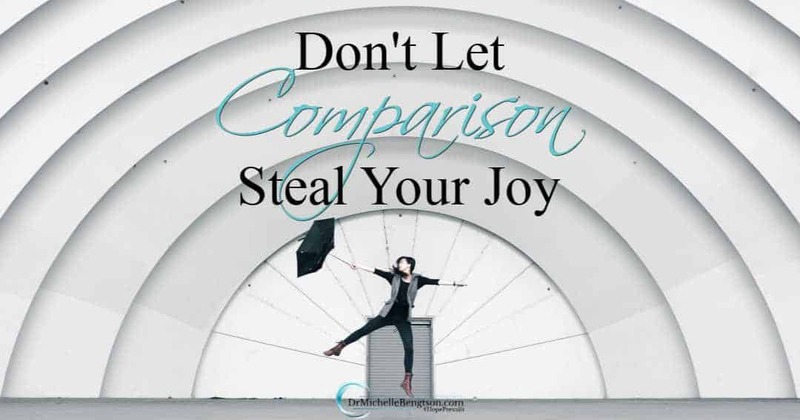 We must stop letting comparison come in and steal our joy. Jesus said, “I have told you this so that my joy may be in you and that your joy may be complete” (John 15:11). So let’s rest in the joy that He has come to give us and stop letting comparison steal our joy. I don’t know where you are tempted to compare, but remember, God divinely created you to be just as you are, where you are at this moment. No one can be a better you than YOU! “Dr. 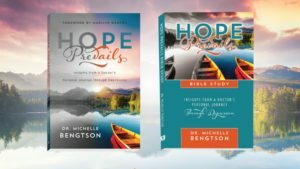 Michelle Bengtson’s enlightening book, Hope Prevails, provides a master blueprint for overcoming negative thoughts and toxic emotions. 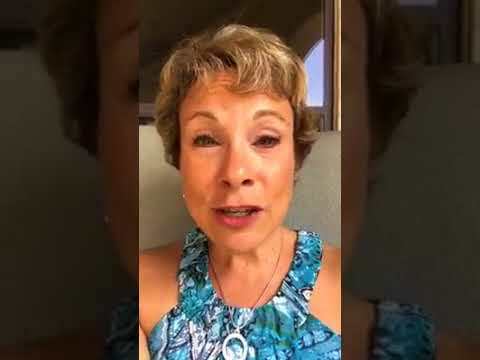 Targeting a generation who feels lost and hopeless, this book provides meaningful help to everyone who has endured unexpected heartache, pain or trauma. Michelle, I have always loved this quote. We are at our worst when we compare ourselves to others. There will always be ways in which we don’t measure up in our own minds. God tells us that we are enough, just as we are. Wonderful reminder! Yes, Laurie, once Christ died on the cross, it was finished: all need to try to measure up, to compare, to strive to be better. We are enough because He is enough in us. April, I think most of us can relate. Especially in this digital world…it puts everyone else’s highlight reels in our view, when we are living the backstage preparation. I’m so grateful though, to know that God loves each of us the same, and that Jesus came to die for all of us…so that right there levels the playing field. Jennifer, you make a really valid point: not only is comparison the thief of joy but it is also a thief of self. And you’re right, being bubbly, fun, and loud isn’t any better than being quiet, sincere, and soft-spoken, simply different. And God created us all to be unique and different from each other, but all in His likeness. What a boring world this would be if everyone was like me! I have learned that Satan does not want us to be happy with ourself or our life. He wants us to compare ourselves with others so that he can convince us that we are not enough or who we really want to be. Oh, how we need Jesus! God tells us that we are wonderfully made by Him. He picked out every aspect of us specifically for us. How much more do we need? Thank you so much for sharing this! Angela, I think you are right. Satan doesn’t want us to be happy with ourselves or our lives. And he certainly doesn’t want us filled with joy! But I want to only be concerned with what my Heavenly Father thinks, and mold my behavior and attitudes to the likeness of Christ. Oh, how true this is. How I believe it. I teach it. And still I struggle. Thank you for the reminder, for sharpening iron, for spurring your sisters on. Natalie, you’re in good company in that struggle. 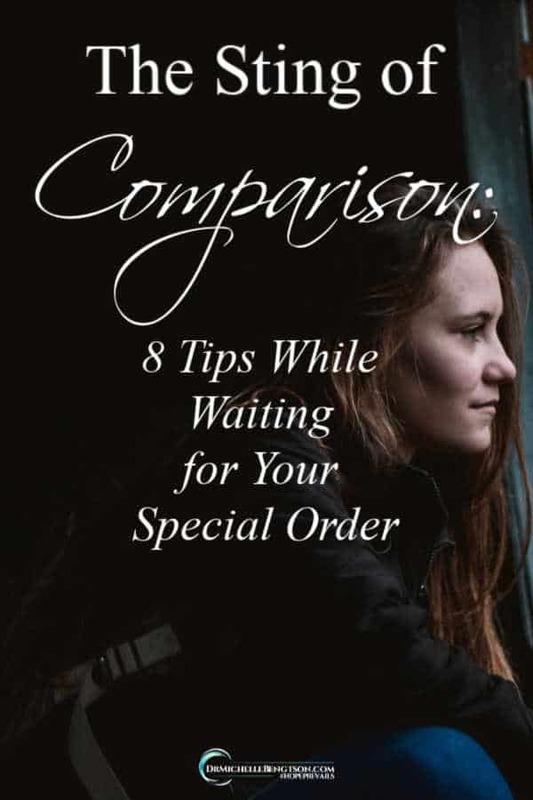 I think comparison is something that all of us have engaged in at some time or another. But when we realize how it steals our joy, I think we’re on the start of the path to freedom. Thanks for visiting here! I hope we see you again real soon.